hosta transplants, originally uploaded by ordinarymoment. If you need some help in becoming a bit more patient in your life, start gardening. If you need a little more faith that all will work out in its own time, start gardening. If you need some more hope that beauty will bloom again, start gardening. Really, it has changed my perspective over the years. When I put my energy into something, I tend to want it instantly perfect. Instantly beautiful. It’s hard to accept that some things just take time. Sometimes all you can do is lovingly pat the green life into the earth, giving a good foundation for it to take root. Water, prune, but know this season may have some wilting, shriveling, crisp dryness going on. When you uproot the life there’s always an adjustment period, but that doesn’t mean it hasn’t stopped growing, stopped sending out its tiny roots deep into the soil to hold fast through the seasons until the sun warms the earth again. You do your part to take care, but what you need most of all is hope + faith. And you know what? 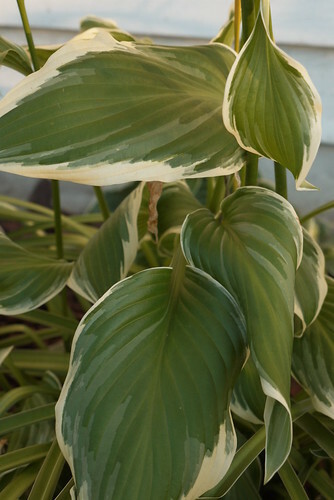 By next summer, the hostas will grow lush + verdant, the flowers will bloom, the life will return stronger than the day you planted it into the cool earth, knowing that this day would soon come. This is why I take the time to bury those roots, to see the miracle of life through the seasons, growing + changing into beauty you could never have imagined. And so I keep my faith that the new little garden under our bedroom window will bring an exquisite blessing in its own sweet time.